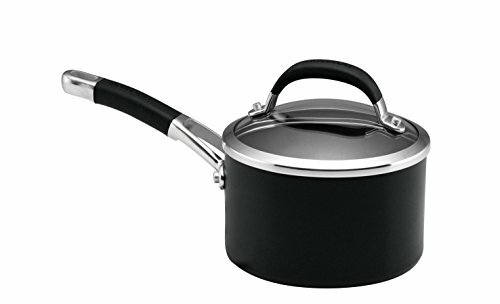 Includes: 14cm Milkpan, 16cm Saucepan & Lid, 18cm Saucepan & Lid, 20cm Saucepot & Lid, 20cm French SkilletTotal non-stick interior that provides outstanding performanceHeavy gauge hard anodized cookware heats quickly and spreads heat evenlyStainless steel base for use on all hob types including inductionHeavy gauge hard anodised aluminium construction heats up quickly and evenly preventing hot spotsDishwasher safe advanced non-stick exteriorComfortable silicone and stainless steel handles are oven safe to 180Â°C/350Â°F/Gas Mark 4 and toughened glass lids (excludes milk pan and frypans)Circulon Lifetime Customer Satisfaction GuaranteeCirculon TOTALÂ Technology - Ever since Circulon introduced the world to hard-anodized non-stick cookware, it has continued to push the envelope in cookware technology and engineering. The result? 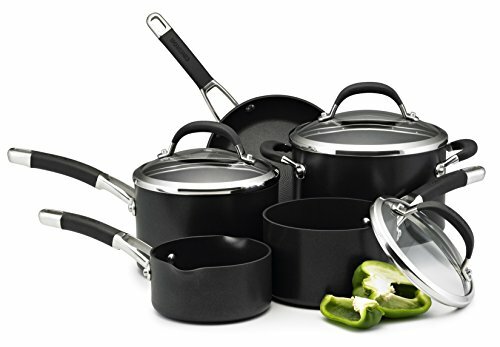 Time-saving cooking solutions of stunning quality and unparallelled durability including the Total non-stick system.The TOTALÂ Non-stick System. All Circulon now features the technologically superior TOTALÂ Non-stick System which combines a relaxed Hi-Low wave technology with the most advanced non-stick coating available. 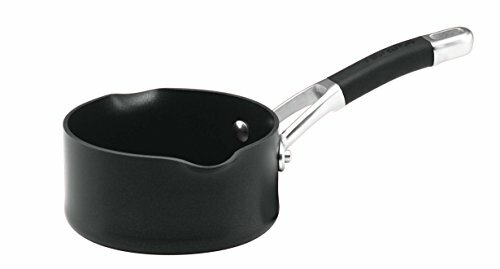 Food cooks (and releases) on the entire surface of the pan, but raised circles (the "Hi" area) allow a fraction of the cooking surface to take the abuse of utensils, protecting the majority of the cooking surface (the "Low" area) from abrasion. The result? 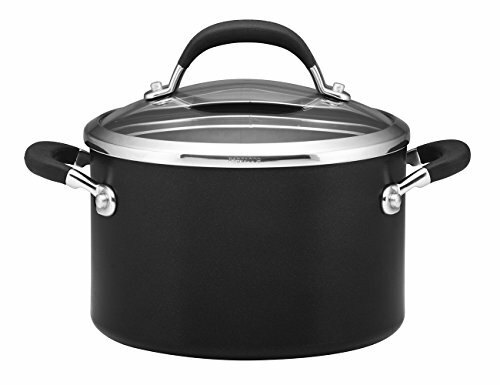 Unparalleled cooking performance and non-stick durability. 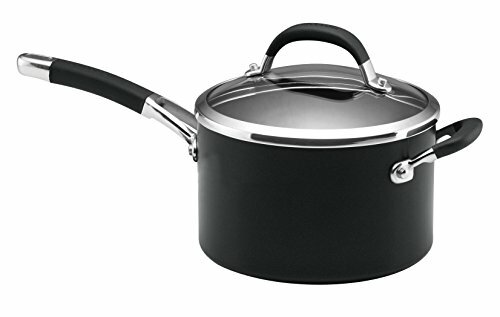 The hi-low interior groove system not only gives a high resistance to abrasion but requires very little or no oil, making for healthier cooking and will outlast all other non-sticks guaranteed.